Which Party Should Startups Put Their Trust In? 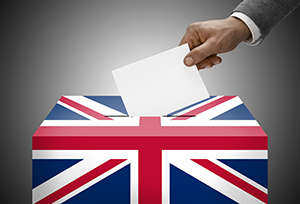 With the general election looming ever closer, the political parties are fighting tooth and nail to try and convince undecided voters to pledge their support to them on polling day. One of the demographics that have been a focus for virtually all of the campaigns has been the country’s small business owners. Widely agreed to be critical to the continuing growth of the economy, it’s no surprise that the leaders are making promises to them in a bid to secure their votes. Under a Conservative government, David Cameron has pledged that businesses in the UK would enjoy ‘the most competitive taxes of any major economy’ and also benefit from a cut in red tape to the tune of £10 billion. Payrolls would not increase a great deal under the Tories, with only a modest increase to the minimum wage proposed, rising to £8 by the end of the decade. A notable workplace equality measure set to affect companies with over 250 staff will see them compelled to publish their gender pay gap, and there is also the controversial “Volunteering Leave” policy of three days per year per employee proposed for big companies and the public sector. Labour’s pre-election message has been all about the need to narrow the gap that exists between those at either end of the pay scale. To this extent, they have promised to prioritise small businesses when it comes to tax cuts, reducing business rates in the first budget and imposing a freeze on them the following year. The party have also been very vocal in their criticism of zero hours contracts and have pledged to tighten the rules on them. This will include the power to abolish any that are found to exploit employees. Their planned minimum wage increase is a fraction higher than the Tories, with a figure of ‘more than £8’ by October 2019 being proposed. Other business relevant measures include the doubling of paternity leave to four weeks and a rise in paternity pay by more than £100 per week. The trend of business tax cuts for SMEs would continue under Nick Clegg’s watch. In addition the party want to introduce a Land Value Tax as an alternative to business rates, which is a charge based on the rental value of the land. Increased paternity leave and the possibility of fixed term contracts for zero hours employees also feature prominently in their manifesto. In a move that mirrors that of the Tories, the Liberal Democrats would also make it obligatory for companies with more than 250 employees to publish their gender pay gap, and by 2020 companies would also have to make public the number of employees being paid less than the Living Wage. The anti-EU rhetoric is a key theme for Nigel Farage’s party, so it’s little wonder that their policies in relation to small businesses also reflect this. An argument vehemently defended by UKIP is that EU membership and high levels of immigration are damaging job prospects for British workers and keeping wages low. They pledge to give British businesses the freedom to employ British workers over their European counterparts and to prevent access to EU schemes that encourage businesses to hire non-British staff. The manifesto also states that the party would cut business rates by 20% for companies that have a total rateable value of under £50,000. In a move that has been well received by more than 100 small business owners, UKIP has vowed to get tough on bigger companies who deliberately delay payments to smaller suppliers and make it easier for small and medium sized businesses to tender for public service contracts. To boost the ailing high street, the party also wants to introduce 30 minutes free parking in shopping areas. The stand-out measure being proposed by the Greens is boosting the minimum wage to a living wage of at least £10 per hour. Natalie Bennett’s party also wants to narrow the income gap that exists in companies, which they would set about doing by introducing a rule that the highest wage earned in a business should be no more than ten times that of the lowest salary earned. So there are some similarities and there are also measures that some parties are willing to push that little bit further. What seems inescapable is that there is no clear indication of which way the 2015 General Election is heading. Whatever the British public decides, the next Parliament will be an intriguing one for British businesses.